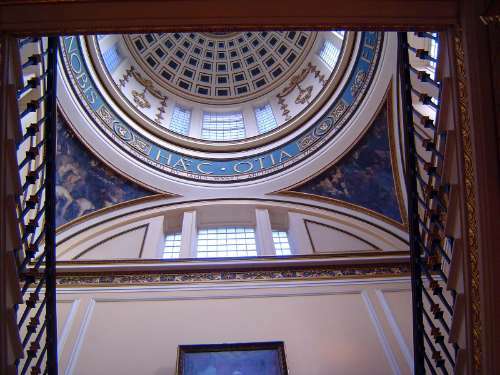 The interior of the town hall was gutted in 1795, which created the opportunity for James Wyatt to add the dome. The drum carries the city's motto, Deus Nobis Haec Otia Fecit, "God has given us these days of peace." Is the meaning that peace provides an opportunity to make money?